This evening I made a quick and easy dinner. 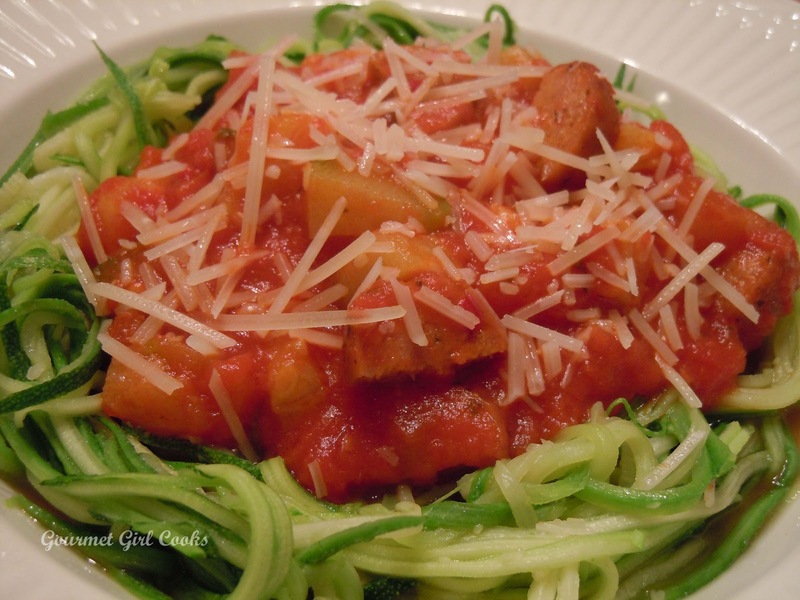 I sliced and browned a couple of organic Fire Roasted Red Pepper Chicken & Turkey Sausages and tossed in some diced zucchini to saute along with them and then simmered it in spicy marinara sauce for about 20 minutes. 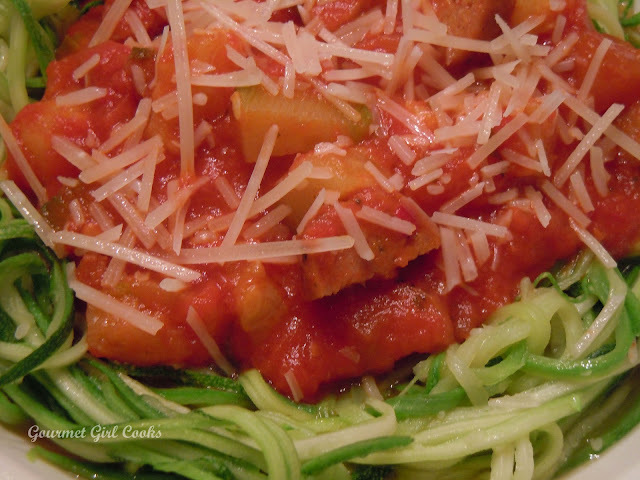 I served it over zucchini pasta that I made with my julienne peeler. The diced zucchini that was in the sauce was the leftover center portions that I didn't shred...so nothing went to waste. I topped it off with some shredded Parmigiano Reggiano. It was delicious, simple and quick. Enjoy! You are my favorite food blogger! I love the way you write and your recipes are fantastic! Thanks so much Patricia! I really appreciate your kind words!